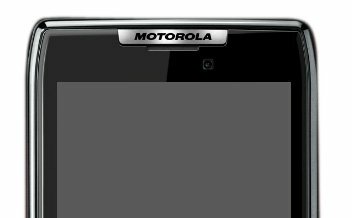 Motorola Buying Up Domains Involving The DROID “HD” RAZR? Motorola has reportedly began snatching up domain names through Corporation Service Company relating to a device supposedly called the DROID RAZR, better known around here as the DROID HD. Rumor has it that Motorola is planning on releasing the 4G enabled device sometime around the holidays and Moto’s recent acquisitions definitely fuel that fire. Along the long list of recently purchased domains are razormoto.com, motorazr.net, motorolarazr.net, and many many other variants. All the links go to empty pages of course and are just a sign that the DROID “HD” RAZR is very real. We just saw the device pass through the Nenamark with a hefty 1.2GHz processor, so soon we will see exactly just what is up Moto’s sleeves. I’m sort of hoping this name scheme drops off completely and they just call it the “RAZR HD”. Sounds awesome, right? Rumor: Samsung Prime Launching at Verizon October 27?